Wine Shop and Facilities: San Sebastian Winery is located in Henry Flagler’s East Coast Railway Building just a few blocks from downtown historic St. Augustine. Our Wine Shop offers a variety of unique wine accessories and gift items that include glassware, cooking items and gourmet foods, along with our famous Florida wine. Private labels and gift baskets are also available! They are perfect gifts for family and friends. 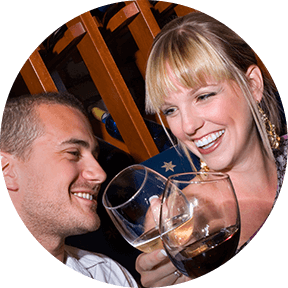 Complimentary Winery Tours and Tasting are offered everyday. Upon arrival at San Sebastian Winery you will be greeted by our friendly staff who will take you on an interesting journey through the complete wine making process. 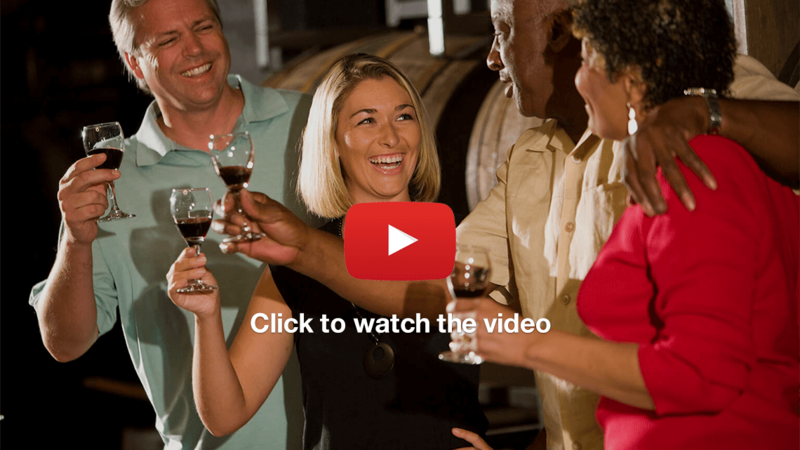 After a short audio-visual presentation in our upstairs theater, you will enjoy a guided walking tour of the 18,000 square foot wine production facility. Discover the art of winemaking as you learn the important details of our 5,000 gallon stainless steel tanks where the wine is fermented and stored prior to bottling. After visiting our rustic authentic Barrel Room, where we house our Port, you will be treated to the wine tasting experience. You will be taken through all the exciting steps that we call the five “S’s” of wine tasting, while enjoying San Sebastian Premium Wines. It's fun and educational for the whole family! Children are welcome, however tasting wine is offered to adults of 21 years and over with a valid I.D. Complimentary Tours and Wine Tasting run about every 20-25 minutes, lasting approximately 45 minutes in length and offered seven days a week, (except for major holidays). Monday - Saturday, 10 a.m. - 6 p.m. and Sunday, 11 a.m. - 6 p.m.
No reservations are required except for groups of 20 and above. Last tours are offered at approximately 5:00 p.m.